After a few years of absence, Leslie Smith Gallery will again participate in three of America's most important art fairs. 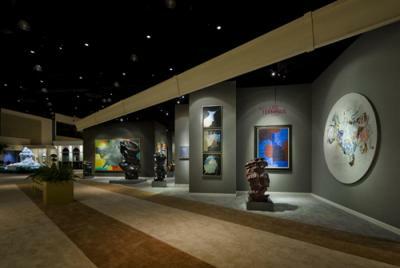 All three fairs will take place in Florida, where LSG is well familiar since it had an affiliate gallery on Palm Beach's Worth Avenue for many years. From 13 till 17 January we will be represented at Miami International Art Fair (MIA) with our unique collection of contemporary Aboriginal Art. From 20 till 24 January you can find us at Art Palm Beach with the same collection. And from 4 till 13 February, after a few years of absence, Leslie Smith Gallery will again be present at the American International Fine Art Fair (AIFAF) with our regular collection of fine 19th and 20th century European paintings.